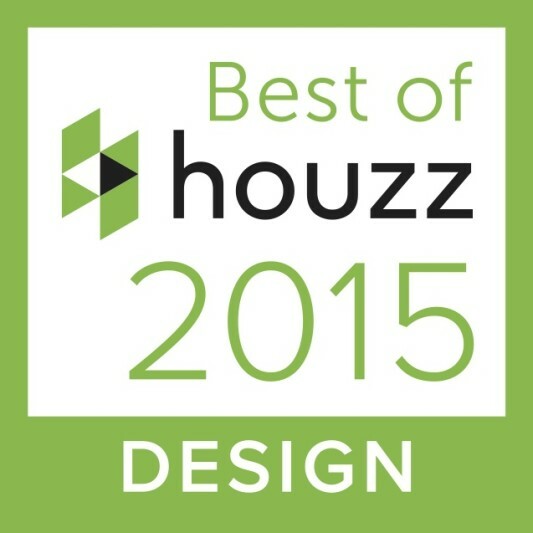 Nest Designs participated in the DPVA’s Designer Show House for the third consecutive year. At the end of the room selection process, I was fortunate to get the Master Bathroom. As you can see from the before image, the bathroom already had a nice layout. I decided to leave all the existing tile work, vanity, bathtub and flooring. 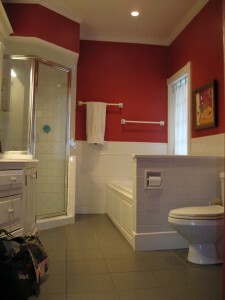 I even kept the red walls but changed the shade of red to a more vibrant color for this space. As you can see from the images below a color change with some fun accent pieces can really transform a space. Here is the after photo of the Master Bathroom. 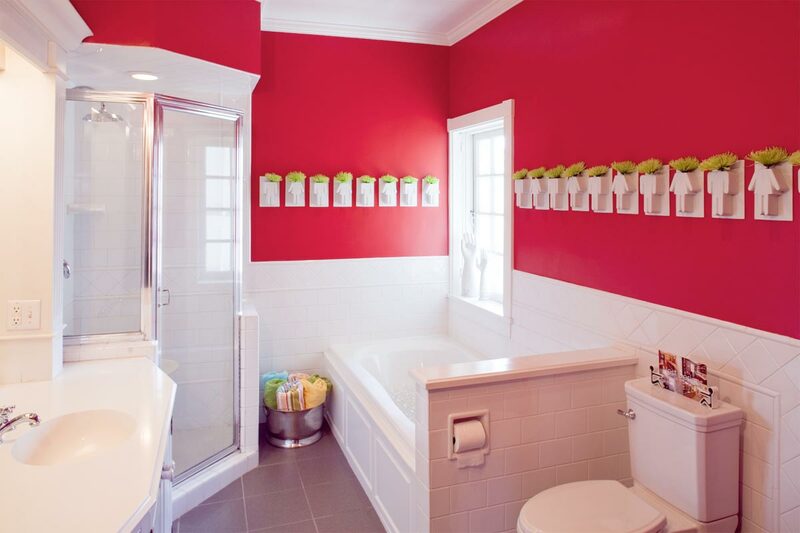 Nest Designs changed the wall color to Sherwin-Williams Cherry Tomato SW6864. 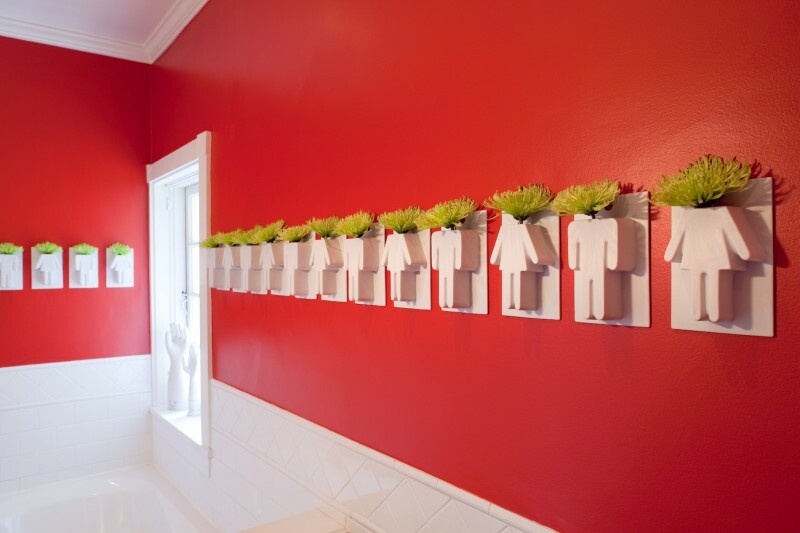 I found the man and woman wall vases online and knew instantly that they were going to be the focal point of the bathroom. I decided to hang them en mass on the walls. To add a punch of color, I added lime green spider mums. Those selections resulted in a space that was vivid, fun and energetic. Photos by Bealer Photographic Arts.